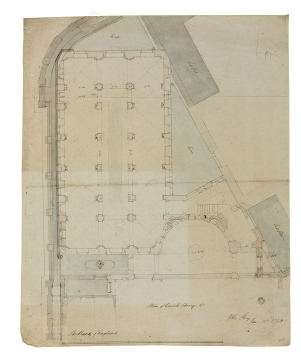 Drawings 8 to 11 show the foundations and three floors of the library. A lantern above the attic storey extended the length of the building, over five bays. 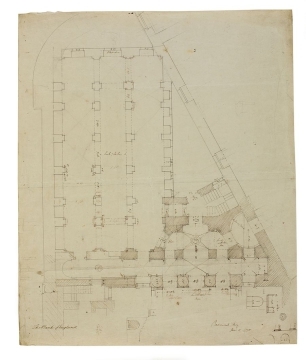 As shown in the transverse sections 4 to 6, the centre of the building served as an internal light well, with floor openings at each storey to permit light to the spaces below. A narrow circulation corridor encircled the railed openings. 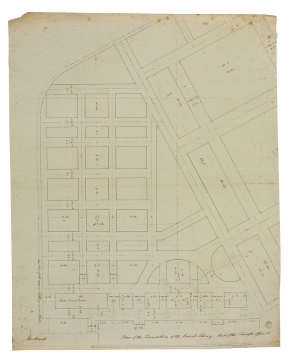 The plans in drawings 8 to 11 exhibit the lantern's great length. 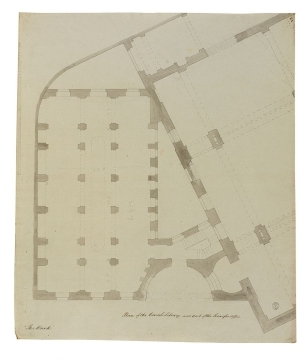 The plans also show the variations in supporting piers, with four piers of cruciform plan at the corners of the light well and eight T-shaped supports in the centre. The arms of the piers supported springing-points for the brick cross-vaults.